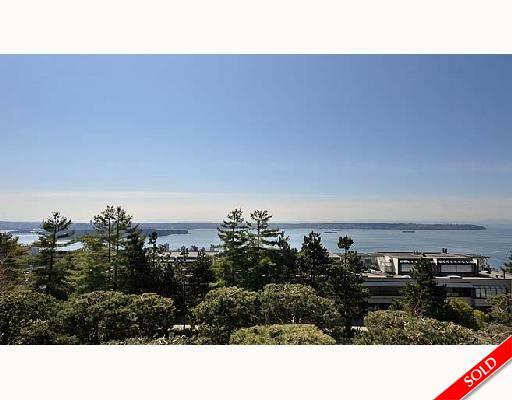 Description: You will love this 2 bedroom townhouse with its commanding views of Vancouver harbour, downtown & UBC. The main level hosts a glass-roofed foyer with 14' ceilings, a wonderfully updated kitchen, open plan living room & dining area and a huge deck to watch the sunsets. On the lower bedroom level yo'll find a large master bedroom with a spa-sized ensuite, a a nice sized second bedroom, den, bathroom, laundry and computer nook. Views are enjoyed from all principle areas in this residence. Buy with confidence in this solid, well run complex that offers many of the features you'd enjoy in a house.